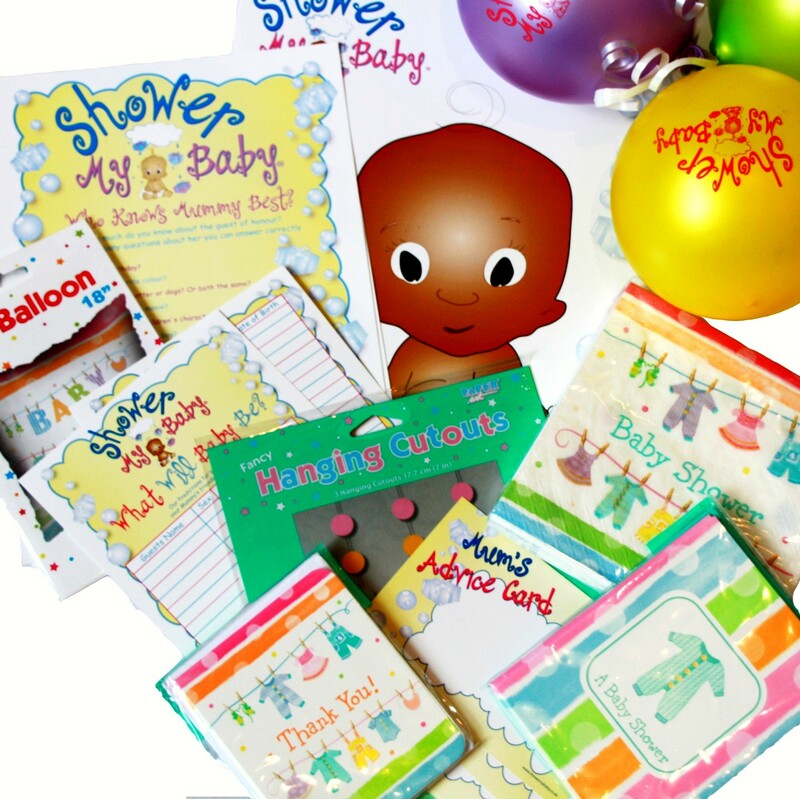 Ethnic Baby Shower Pack with Games is a very popular party pack complete with 8 personalised labels with satin ribbon to use on favours, game prizes, gifts and so on. Great value too! 18 themes to choose from. A very popular party pack complete with 8 personalised labels with satin ribbon to use on favours, game prizes, gifts and so on. Great value too! 18 themes to choose from. 12 printed pastel latex balloons,(suitable for air or helium filling). Please enter your personalisation details for your labels into the text box below along with any print & ribbon colour preferences. You can also choose the theme for your decorations & partyware.